The Condition Sensor Interface CSI-B-1 is a further element in the HYDAC Condition Monitoring concept. Indeed, it connects the sensor level with the interpretation level. What’s more, the HYDAC sensors supply an HSI-Signal, which the CSI-B-1 converts into individual analogue signals. 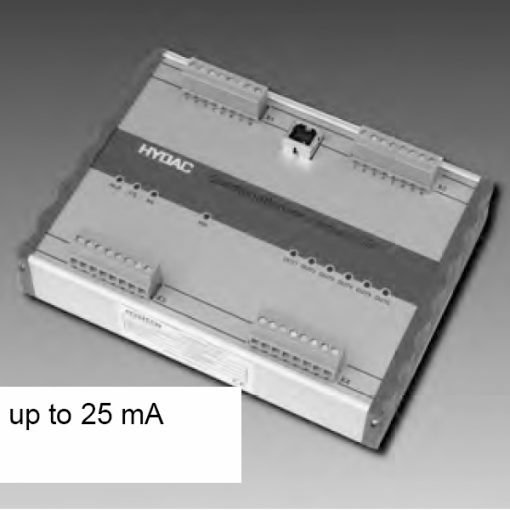 For each channel, we can choose the type of output: current or voltage signal. Moreover, we can read the measured values in the transparent mode and with the aid of the PC software FluMoS.